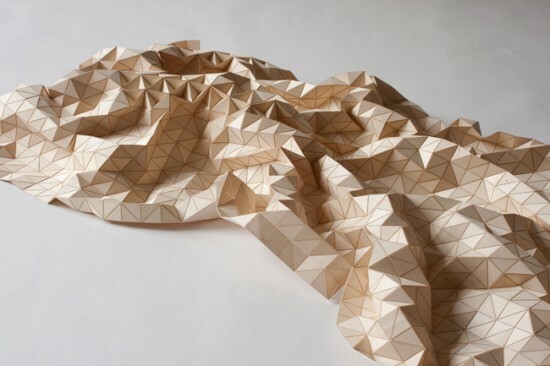 Elisa Strozyk, a young designer from Germany, is able to turn blocks of wood into delicate paper-like material. So far she has created wooden rugs, bed covers, table cloths and is working on a line of wooden clothes. 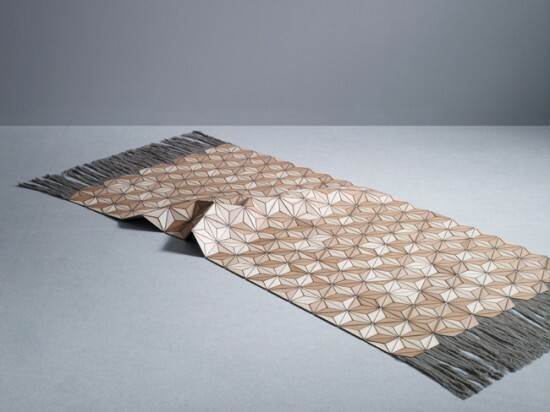 Most people are familiar with the feeling of walking on wooden floors, touching tree bark or wooden furniture, but young Elisa Strozyk wanted to take this hard material and turn into something completely new – wooden fabric. She spent months working on her original idea, experimenting with different types of wood, until she settled on wood veneer. 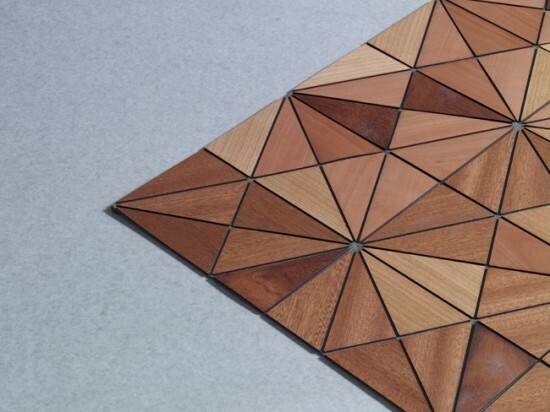 The slices of wood she uses are about 0.6 mm thick and very flexible, an essential property for her wooden textiles. But not all types of wood can be used to make wood fabric; oak, for example, is too brittle, so she prefers to use cherry and maple. 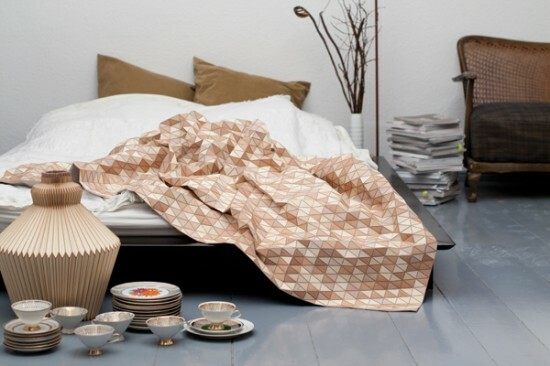 Small pieces of veneer are cut using a laser and glued to a thin layer of fabric, and can be used to make all kinds of things, from bed spreads to flexible lamps. 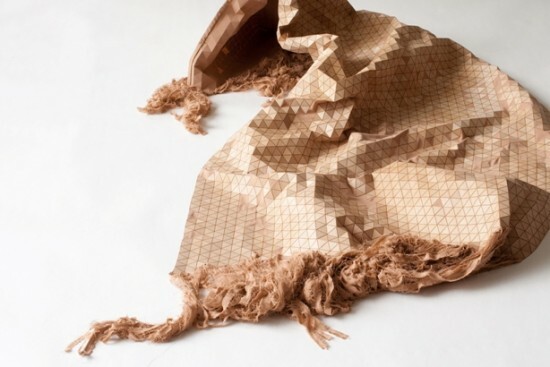 Elisa Strozyk has been working with wood textile for the last two years, but says she’s not at all bored with it and considers there are plenty of other interesting things to use it for. She has teamed up with a fashion designer to make wood fabric accessories and clothes, although they aren’t very practicle, since you can’t throw them into the washing machine and expect to wear them in public again. Still, Stozyk’s idea is truly innovative, just like fellow German designer Anke Domaske who makes fashionable clothes from milk.